*Maui Sunset* is located only 2 blocks away from the shopping, dining, and entertainment venues of Kihei. Set upon 10 acres of Hawaiian soil, the resort's buildings create a V-formation facing out toward the ocean so that each unit is angled to provide a view of the ocean. All units feature a full kitchen, washer/dryer units, cable television, and private lanais or patios. For more information about this resort, visit www.mauisunset.com. Top floor ocean view! 2 weeks yearly in Labor Day week 35 & September week 36! Make an offer on paradise! 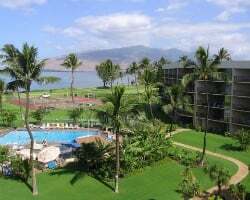 Or best offer, Make an offer on this Maui resort! Own consecutive weeks 20 & 21! Enjoy 2 weeks per year! Weeks 42 & 43! Buyer may receive a title fee credit, inquire for details! 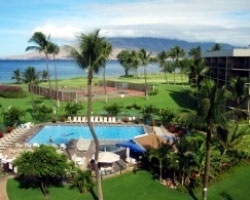 Stunning Hawaiian retreat with fully equipped units! Floating annual week! Buyer may receive a title fee credit, inquire for details!